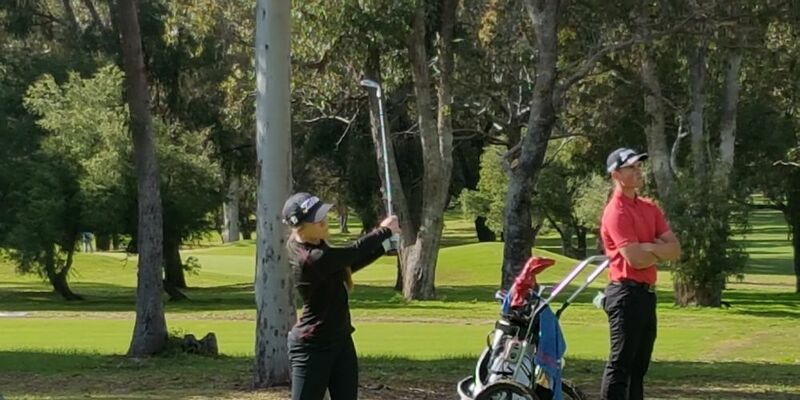 MANDURAH Country Club hosted the Steelscene Mandurah Amateur Open over four days last week. The 72-hole national ranking tournament attracted more than 120 players from all over Australia. Interstate representatives were sent by their State Golfing organisations. Club general manager Grant Shortland- Jones said the players love coming to the Peel Region and it was great to see the influx of people attracted to Mandurah as a golfing destination. This year’s winner was Kyle Michel from Shepparton Golf Club, Victoria who finished at seven under and winning after an exciting sudden death two-hole playoff from Golf South Australia representative Jack Thompson from The Grange Golf Club. The best local player was Mandurah Country Club Cooper Geddes who came in fourth place and had the tournament equal low round of six under 65. Mandurah Country Club member Kathryn Norris was the only female player to ever compete in the male event. She had an amazing tournament and did not just make the 36 hole cut, Norris was lying in the top 20 ahead of 100 men on the male championship tees. Norris went on to record a top 40 result. Considering the field had more than 60 players on a 0 handicap or lower, to take on and beat the majority of the field was a great effort. Rumtek Monastery - Indian state of Sikkim ,Gangtok.